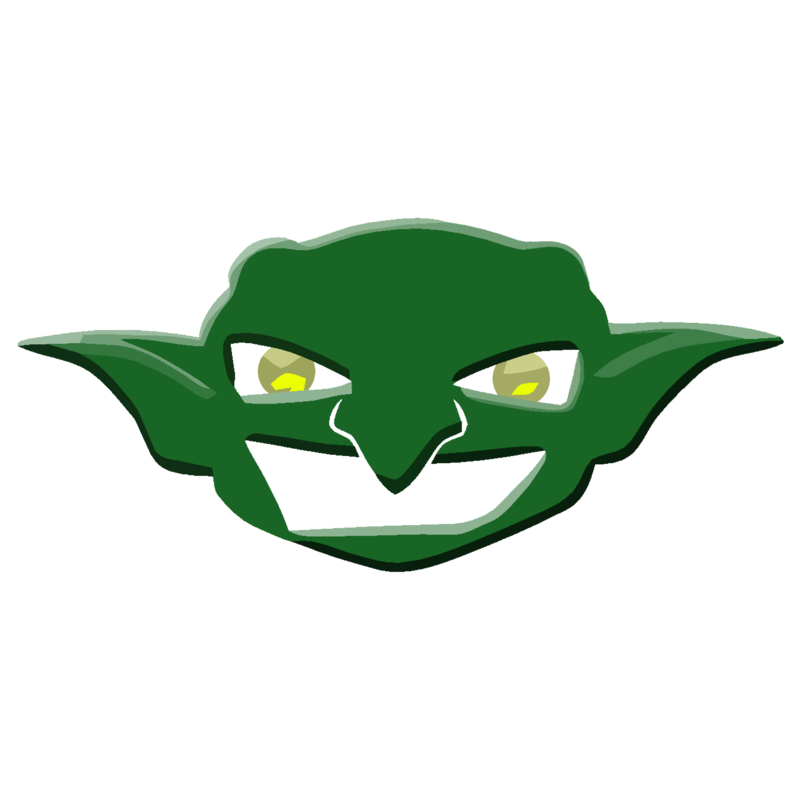 Fortuntely these are the kind of gremlyns that will make you a delicious beer! Like many home brewers, I had dreams of making my own sour beers, but simply buying commercial cultures was not something that appealed to me. If I’m going to so sour, I want to go wild and sour! 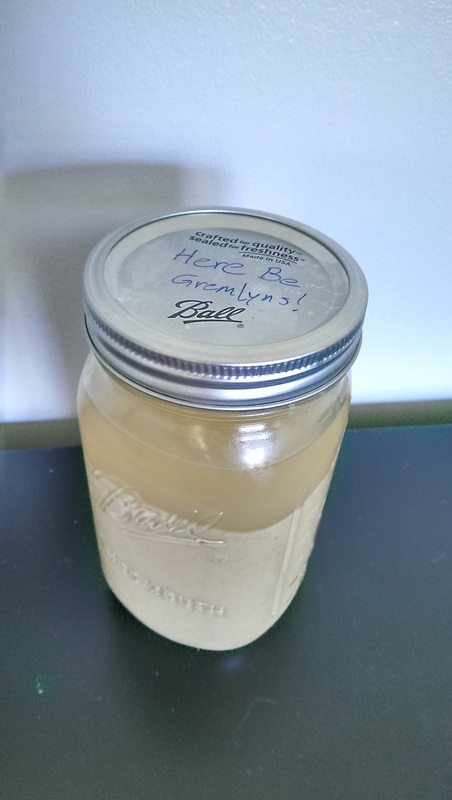 I ended up not culturing microbes from my environment in the more traditional way for home brewers (a jar of wort with cheese cloth set outside), but they are from Michigan and they are from the wild – they are my Gremlyns, an invisible force making things interesting when I’m not looking. In November of 2014 I attended an AABG event at a local orchard for a private cider pressing. I came home with about 15.5 gallons of fresh pressed cider and added metabisulfite to all but 0.5 gallons of that. I figured if there was a good place to get some Michigan-grown Gremlyns for fermenting, then a 17-varietal apple juice blend would probably be it. 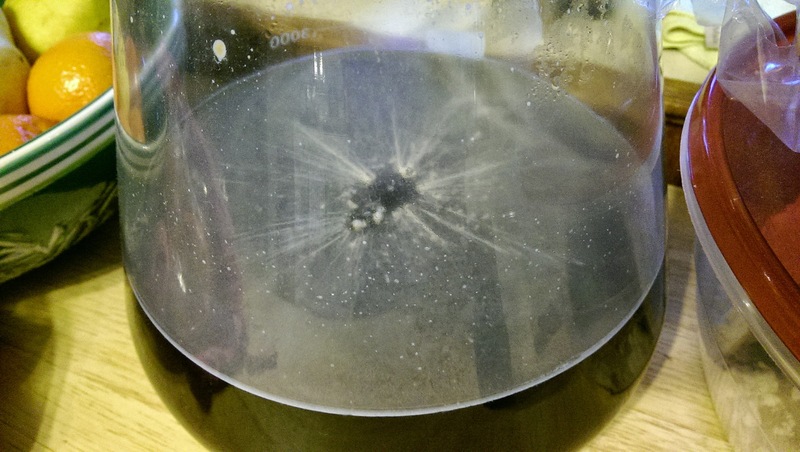 Is that a picture of a crater on the moon or a pellicle? Finally in early 2015 it was time to see how the little layer of culture on the bottom of my apple juice jug would do with beer wort. I went with unhopped to start since I was confident that the culture contained nothing that would cause me harm, and stepped it up through two iterations of unhopped wort. I was noticing a lack of attenuation from the culture, which had me slightly concerned, but decided to press on anyway. Eventually the opportunity arose for me to give my Gremlyns a real beer test: a club lambic project for which I only needed to brew 5 gallons. I doubled up the batch and pitched just my Gremlyns. I now have 5 gallons sitting in the basement with an oak spiral for good measure. My attenuation fears were unwarranted thanks to a late surge of activity, I assume from some Brettanomyces spp., and the beer dropped all the way down to a dry 1.003 as of last check. It is possible it finished even lower. The next plan for my Gremlyns is to start a multi-tier solera in carboys and to see how the Gremlyns do as a sour dough starter.